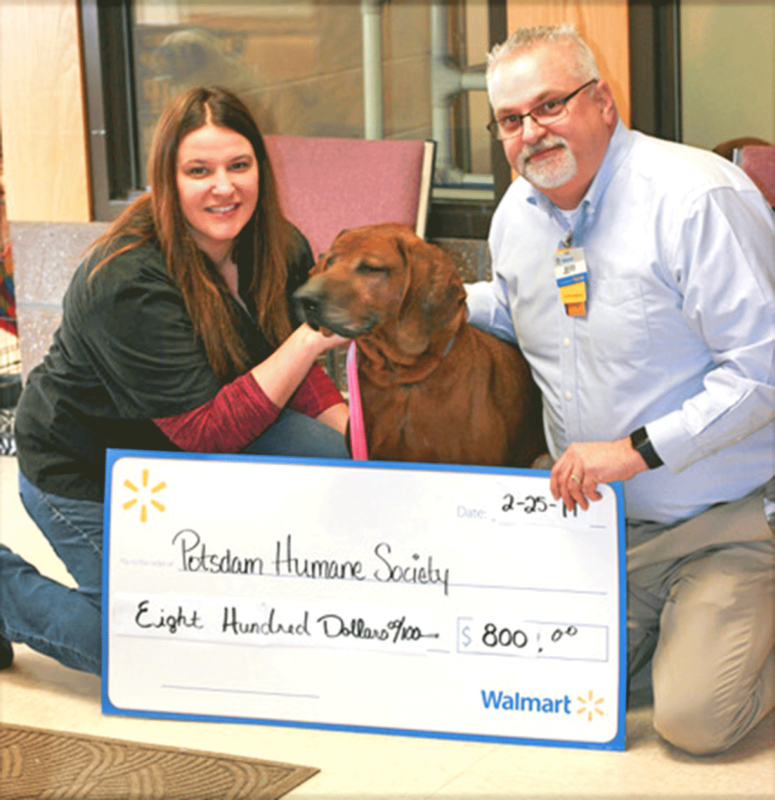 POTSDAM — Potsdam Walmart Store Manager Jeff Bonno presents a check from the Walmart Community Grant Program to the Potsdam Humane Society (PHS). Alysia Wells Maynard, executive director of the Potsdam Humane Society, is pictured above accepting the donation. Supervising the presentation is Sherlock, a 10-year old redbone coonhound mix. Sherlock is looking for a new place to call home.